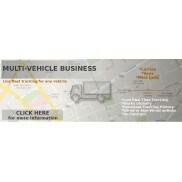 Covert Magnetic Tracker For Vehicles and Assets. Longlife 20800mAh Rechargeable Battery Up To 6 Months Live Tracking. 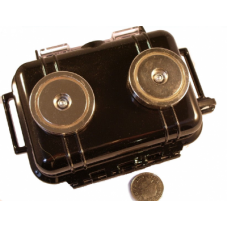 Can Be Placed in Battery Save Mode For Up To 24 Months Of GPS Location Reports On One Charge. Live Tracking Displayed On Private Mapping Panel Using Your Computer Or Mobile Phone With Internet Connection, Showing Street Maps, Satellite Imagery and Google Street View. 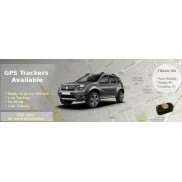 All Tracking History Displayed Showing Stop, Start Locations/Times, Length Of Journey And Speed. Movement Alarm Sent To Mapping Panel And Your Mobile Phone. 2 Neodymium Magnets With A Combined Magnetic Pull Of 100Kg Designed To Place Under A Vehicle Or Asset. Set Up Safety Zones And It will Send A Text To Your Mobile Phone If It Goes In or Out Of The Area You Have Selected. 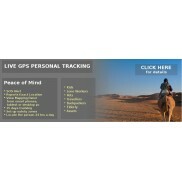 AGPS For Instant GPS Location. You Instruct Your Tracker Remotely From Your Mapping Panel How Often You Want It To Update Its Position, From Every 10 Seconds To One Hour. Water Resistant, Shock Proof, Robust Case. No monthly contracts either pay as you track and top up with position/SMS credits when required using your mapping panel or opt for 12 months unlimited position credits with a one off payment. A Position Credit is used each time it updated its position whilst on the move, when stopped it will go into sleep mode. eg If the vehicle drives for an hour a day and you set it to report every 60 seconds you will use 60 position credits a day. This works out very cost effective at only pence per day. An SMS Credit is used if it sends a text message to your phone or if you send it a text command such as changing its reporting time. The Sniper 300 comes supplied with 100 location credit and 25 SMS credits. 115mm x 80mm x 50mm (Excluding magnets) In Size.